We are supplier of used recondition spare parts for all type marine main engines, auxiliary and propulsion engines. We also have all major recondition reusable parts for above mention engine in stock. For any of your required parts, do contact us with the required part list. If interested in complete engines or Generator Yanmar M200 and Yanmar M220, do contact us for the price and delivery terms. The generator was removed from ship and is in excellent running condition. 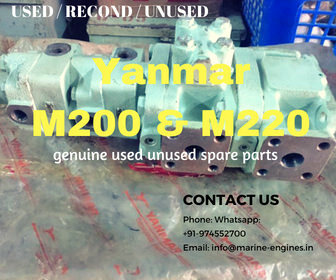 We also supply major used reconditioned and unused spares for Yanmar M 220 Generator. Interested clients do contact us for more details on availability and other supply terms. We also supply on CIF terms or delivered up to purchasers yard / works. Our inventory is regularly updated with available used marine engine / auxiliary engines, spare parts turbochargers etc. 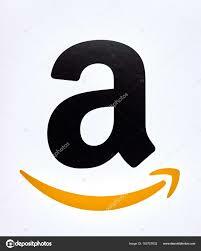 Kindly regularly visit our web link for latest stock updates or subscribe to our web link. The used Yanmar engines are sourced from ship dismantling yards around the globe. 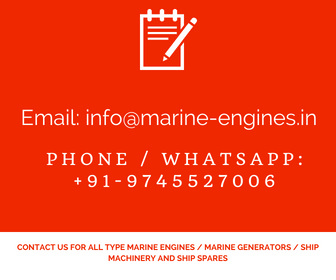 We source and supply used Yanmar marine engine and generators from ship dismantling yards in India and also some used generators are also sourced by us from Industries in India. 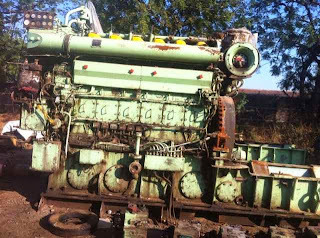 These used engines are available for boats and other marine crafts like barges, trawlers, etc. Yanmar Marine Inboard Boat Engines are available with and without complete accessories like starting system, propeller, shaft etc. The inboard used boat engines are available in range of 8 HP to 900 HP in various types / model and subjected to availability in stock. The used Yanmar Marine Engines are also made available from removing the engine part from a running generator. Due to its various advantages like fuel consumption, dimensions, light weight, Yanmar marine engines are among first choice. These generators are removed from ship in their running condition and are in excellent working condition. Some generator sets are dismantled for recovering valuable spares which later are reconditioned and supplied as used reconditioned spare parts to customers on demand. Load test can be arranged for Used Yanmar Marine Diesel Generators. After removing these used Yanmar Marine Diesel Generators from ship, required top to end servicing is done along with one hour running at yard. Before supplying third party observation certification also can be arranged or customer can nominate their own agency for observation and running hours. 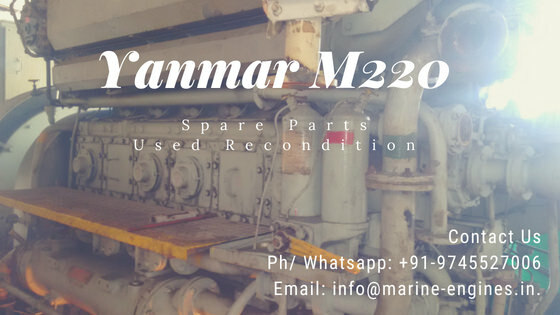 Besides used Yanmar Marine Engines and Generators, unused and used reconditioned spare parts for Yanmar Marine Engines and Generators are also recovered from ship dismantling yards. These used / unused spares are mainly part of ship store room. Some spares are recovered with their original markings and sold as second hand unused spares to customers. All parts supplied are hundred percent original and genuine parts. The spare parts for Yanmar Engines available are like crankshaft, plungers, pistons, rings, valves, camshaft, block, cylinder heads, connecting rods, etc. These are few to be listed here. Interested customers contact us for complete details of available used Yanmar Marine Engines and Used Yanmar Marine Generators along with used / unused spares parts. We also source and supply used Yanmar Marine Diesel Engines, generators and spare parts. Contact us with your complete detailed requirement and we will get back to you with availability details.